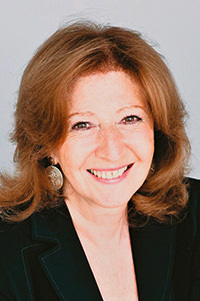 Irina du Bois is a chemical engineer graduate of the Ecole Polytechnique Fédérale de Lausanne (EPFL), Switzerland. She also holds a MA in International History from the Graduate Institute in Geneva and a BA from the University of Geneva. She made all her career with Nestlé (Nestec Ltd.) where she has been successively Assistant Vice President, Head of Regulatory Affairs (1986 – 1991), then Vice President, Head of Regulatory and Environmental Affairs (1991 – 2004) and, until 2010, Vice President, Head of Regulatory and Scientific Affairs. From 2010 to 2014, Irina du Bois was member of the Board of Directors of Givaudan SA. Professor Philippe Burrin is Director of the Graduate Institute of International and Development Studies in Geneva. His main areas of interest and research are the general history of international relations, ideologies, international comparison of political movements and regimes, wars and military occupations, mass violence and genocide. 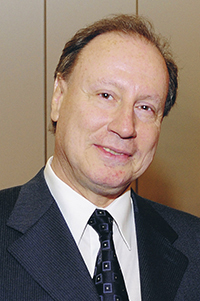 He was professor or visiting researcher at the Institut d’études politiques in Paris (Elie Halévy Chair), at the Harvard University Center for European Studies, at the Johann Wolfgang Goethe-University in Frankfurt, at the Wissenschaftskolleg in Berlin, and at All Souls College at Oxford University. • Ressentiment et apocalypse. Essai sur l’antisémitisme nazi, Paris, Editions du Seuil, 2004; 6 June 1944, with Jean-Pierre Azéma and Robert O. Paxton, Paris, Perrin / Mémorial de Caen, 2004. Maître Philippe Pidoux is Doctor of Law at the University of Lausanne and holds a Master of comparative jurisprudence from the University of Texas Law School, USA. He holds the title of barrister. 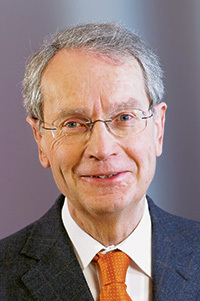 After a political career (Member of the Parliament – Conseil national – until 1999 and of the Vaud State Council until 1994), then economical career (Vice-president of the Board of Directors of the Banque Nationale Suisse until 2003, Vice-president of the Board of Directors of Zurich Financial Services until 2010 and President of the Board of Directors of PubliGroupe until 2009), Maître Pidoux joined the Etude Bourgeois Avocats in Lausanne.